My kids and I, like all good Chicagoans squeeze the most fun out of our summer that we possibly can. 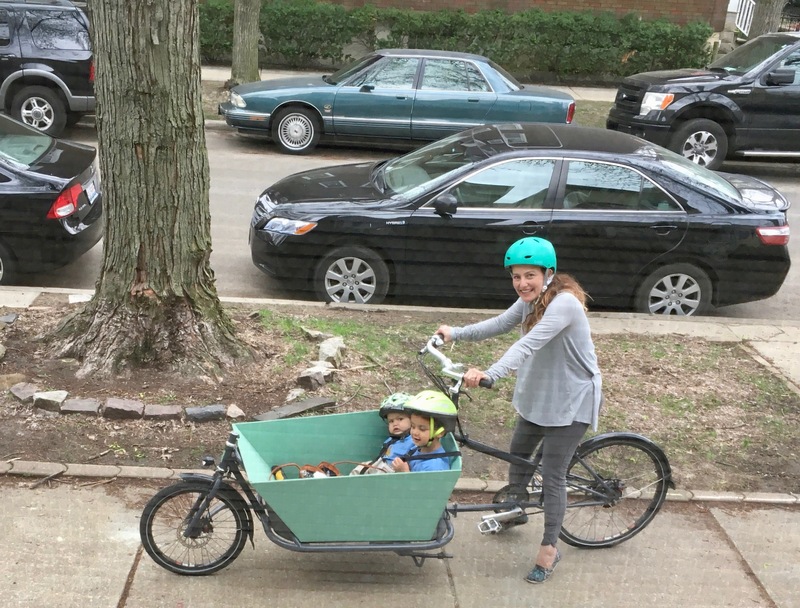 For us, part of that means trading in the 4 wheel drive, for a pedal-powered two-wheeler. We have this awesome dutch style cargo bike, CETMA. Last night I had the pleasure of attending the Write to Publish Conference in Wheaton. And as the final afternoon session ended, it started to pour. It was raining side-ways, there was lightning, there was thunder, and the parking lot where I parked was two feet deep in water in about fifteen minutes. We hundled in the entryway waiting for a break, until by twos and threes we realized needed dinner. Or, like me we needed to save our cars, and show up for our dinner appointments. The rest of the night we looked like-half drowned cats. But I couldn’t help thinking of how much fun it would be to tell Lincoln about it the next day. Not only do I want my children to enjoy the surprises in life, like getting caught in the rain, but I want to hold on to that childlike joy too. Don’t you?